Softer, younger, and smoother looking skin: Use wet or dry. Latex free makeup sponges apply an even, flawless face, leaving your liquid, cream, and powder product undetectable on the face. 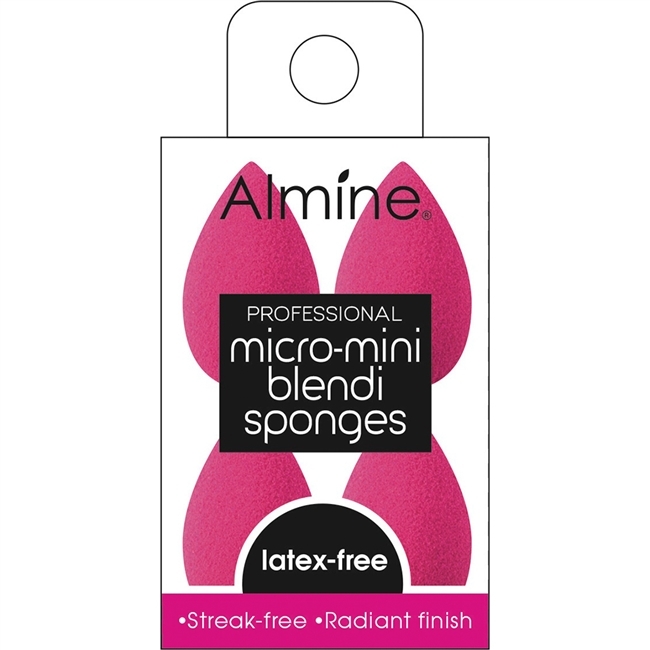 Almine Blendi Sponges feature soft, bouncy, and durable material that won't stain like other popular sponges on the market. Sheer to full buildable coverage: Get the coverage you desire depending on how much product you apply. Won't absorb all of your liquid and cream product, in result using less product. Makes blending faster and easier than any other form of makeup application.